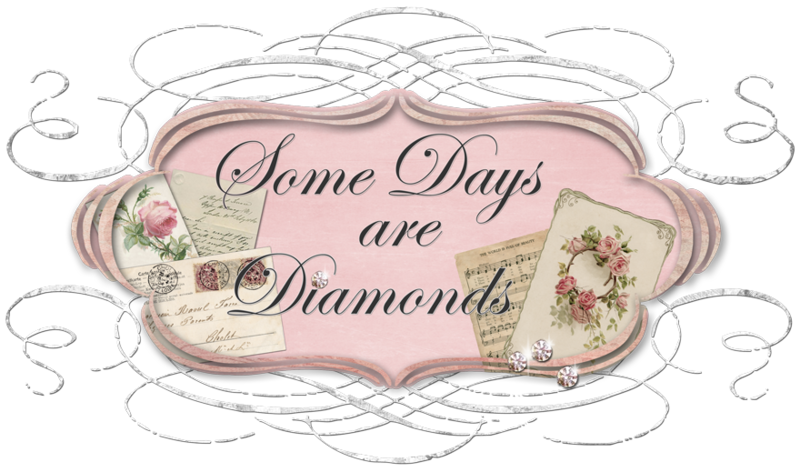 Some Days Are Diamonds: Articles "order"
Now you can take this post with a grain of salt - you can think I'm nuts, or you might just say - "hey, that sounds like it might be a good idea. . . " A friend of mine and I were just discussing this very thing, and I thought, "What the heck, if it helped us, it might help you, so post it Karen!" How many of you read magazines? And lots of us tear out recipes and coupons - I know that. But how many of you "mark" articles that you want to revisit. And then promptly forget about it, or cannot remember where it was you saw the article, idea or photo - whatever it might have been. Now some of today's magazines are truly works of art and are collected and retained forever. The Somerset Magazines are some of my favorites, and they are not cheap. I don't treat like them like any old magazine, I treat them like books. I don't want to tear things out of them and I don't want to fold pages, so I use post-its. So my magazines go from this . . .
to looking like this . . .
8 billion post-it notes, which tend to fall out, especially if you put the magazine in a magazine file. And it drives me nuts. It's all well and good if you have the time to go back and reread 20 magazines looking for one particular lay-out or flower arrangement. And it isn't much better if you have it marked with a post-it, because you have no clue what the post-it is marking until you revisit it! So I tried something and it's worked kind of handy for me. I got larger, lined post-its. And on them I write what it was that caught my eye in that particular issue. And I just list them all on the big post-it and put it on the back cover. And I marked each page with a tiny post it- just barely peeking out above the page number, so I had a quick turn to the marked pages. Now when I need to know where exactly that pearl crystal barrette is, I look at the list on the back of each magazine and find it. I think it's much easier. If it sounds good, try it. I hope it helps you too! I think that is a great idea, Karen. I am going to start doing that. I am forever thumbing through old magazines looking for something I saw that I liked. I have a hard time letting go of some of my favorite magazines, but I just did that recently. Just can't keep everything. You must be the most organized person in the entire universe!!! I once was a very organized gal, but then three kids came into the picture.....Hope it comes back to me one day!